Since the Industrial Revolution unleashed the productive power inherent in fossil fuels like oil, natural gas, and coal, energy and the surety of its supply have become an issue of natural security. Prominent examples of energy as a casus belli in inter-state relations include the 1930s Japanese imperial expansion to secure its energy and natural resources supply from Southeast Asia and Iraq’s 1990 invasion of Kuwait to prevent that country from allegedly siphoning off oil from the shared Rumaila super-giant field. 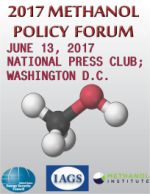 States are responding to the increasing importance of energy to their national security and the increasing cost of obtaining such resources. The fact that energy resources require increasingly enormous quantities of both financial and human capital only raises the stakes involved. Issues such as the proximity of energy assets to national coastlines and which physical and legal jurisdiction dominates such assets become very important to state decision makers. The practical value of the oil and natural gas of the South China Sea and the relative importance of those resources to the countries involved in the sea’s disputed sovereignty is a case in point. The objective of this article, Part I of a two-part series, is to determine the degree to which energy resource competition is likely to drive future military conflict in the sea. When analysts say that tensions in the South China Sea are driven by competition over energy, they really mean that tensions are driven by the prospecting for the sea’s fossil fuels. This characterization is fair because less than one-third of the South China Sea has been directly explored for energy. Remote geological surveys constitute the majority of what underpins resource estimates. While statistically relevant, such surveys are only a guide and are far from definitive. Yet, those surveys hint at the sea offering 31% to 101% of the natural gas resources of the northern half of the Gulf of Mexico. Whichever end of that wide range a reader may choose to emphasize, the South China Sea contains a true wealth of natural gas at a time when natural gas consumption is rising globally faster than oil consumption. Economics and energy value assessments do not exist in a political vacuum. The choice of comparison with the Gulf of Mexico is deliberate to highlight the strategic and political importance of proximity. There are no disputed sovereignty claims in the Gulf; however, dating from the Monroe Doctrine, the US takes a proprietary approach to developments in the Gulf. Interference that prevented its ability to access the Gulf’s substantial energy resources would be cause of great harm to the US economy and great concern to the US government. Likewise, the short distance of the Gulf’s resources from the US coast has a strategic dimension not only due to lower transportation costs but also to a less vulnerable supply line in the case of outside interference. In a similar though more complicated historical and political context, the role of physical proximity adds a powerful dimension to how the disputant states value the energy in the South China Sea. The fact is that the South China Sea produces very little commercially viable oil and natural gas, approximately 1.1% percent and 0.9% respectively of the world’s supply. (Author’s analysis of USGS and BP Statistical Review of World Energy, 2012 data and company published reports on the shares of each regional nation’s total fossil fuel production attributable to the main basin of the South China Sea as defined in Map 2 of this research). Furthermore, fossil fuel exploration of the sea is at such an early stage that only about one-third of it has been explored and documented. Given the poor data, it is delusional to make a specific forecast. However, at a minimum, it will take several years before the sea’s potential is, first, better understood and, second, commercially developed to a meaningful degree. Nevertheless, nations are already jockeying for position to control resources that they believe may be present. There are also countries like Vietnam with a high relative dependence on South China Sea-derived fossil fuels for their current energy needs. However, this article is concerned with military not diplomatic or civil maritime conflict. Competing national maritime service ships and fishing fleet boats may periodically shadow and bump into each other, but even countries that are already highly dependent on the sea’s energy resources are unlikely to militarize their actions in the sea. The value of the oil and gas being extracted within the disputed portions of the sea has simply yet to materialize. The warning held in this line of reasoning, though, is that energy security issues as well as rising global energy prices are driving both nations and the global oil and gas industry to make increasingly large investments to explore and ultimately exploit the sea’s resources. Given our best guesses on the sea’s energy potential and rate of investment, it is likely that before the end of the current decade, the sea will be a major global producer of natural gas and to a lesser extent oil. At that point, competition for energy will become a powerful driver of military conflict in the sea. Parallel improvements in China’s “green water” or near-sea naval power projection capabilities as well as that country’s shore-based anti-access/area-denial military capabilities make for a clearly gathering storm. At 87% of global total energy demand, fossil fuels represent the preponderance of every states' energy profile (with the exception of Iceland) evidencing the world’s continued dependence on those fuel types to power national economies. Issues of supply and price are only becoming more complicated, fragile, and variable for states to manage as they seek competitive advantage in a globalized economy. The growing complexity of international energy supply dynamics is driven both by “below ground” technical exploitation challenges as well as “above ground” political and regulatory issues. While the world is far from running out of fossil fuel resources, it seems clear that the end of easily -- and therefore cheaply -- procured oil is here. 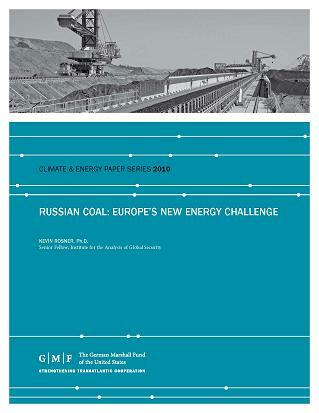 The increasing operational and political complexity of extracting the more remote fossil fuels (i.e., ultra-deep sea, Arctic and non-traditional source areas deficient in the necessary physical, legal, and economic infrastructures) is increasing energy prices and therefore the value of physical possession. 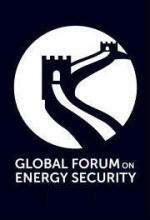 States are responding to the increasing importance of energy to their national security and the increasing cost of obtaining such resources. The rising tensions around domestic energy politics and the sometimes heated diplomacy between states reflect an overall increasing sensitivity to any threat to their access to energy. A “zero-sum” approach among states to energy supply becomes more apparent and likely as fossil fuels continue to represent by far the largest share of every industrial and post-industrial country’s total energy consumption. The fact that energy resources require increasingly enormous quantities of both financial and human capital only raises the stakes involved. Since 2000, the investment necessary to extract a barrel of oil has grown at an annual compounded growth rate of 11%. Issues such as the proximity of energy assets to national coastlines and which physical and legal jurisdiction dominates such assets become very important to state decision makers. Since military conflict between states can arise for many reasons, this article does not address the current likelihood of military conflict in the sea in general but rather seeks to assess the relevance of the single factor of energy competition between likely combatants. Would a fight be over the energy contained in the sea or something else? Given the sea’s small actual energy production and the assessment that there is a small chance that states will engage their militaries over potential production, a casus belli should lie elsewhere. Military conflict is more likely to arise from domestic politics within the states that are party to the sea’s disputed sovereignty or from great power jockeying within a world order trending away from unipolar Pax Americana. Much quality work has been done by others to assess the legitimacy of sovereignty claims and chronicle the specific inter-state clashes in the sea. It is to those areas that the reader should look to determine the current likelihood of military conflict and ways to prevent it. By the end of this decade when energy production is forecast to be much greater in the sea, then the control of energy resources will to a large extent supplant those other traditional inter-state conflict issues. For those interested in avoiding a future conflict or needing to deal with it once it occurs, it is critical to understand the principal causes of the conflict. If, as this article posits, energy competition is not currently the principal driver of conflict in the sea, then we should look elsewhere for that which is driving conflict and to manage it effectively. 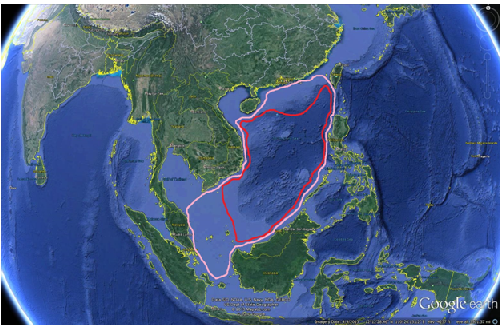 Since much of this article deals with the details of what lies within certain sub-zone boundaries of the South China Sea, it is necessary to orient the reader to the map of the region. Map 1 is shows China’s 9-Dashed Line claim that nearly the entire sea is part of its national territory. It is easy to see by the proximity of the red dashes to their coasts that China provides little room to Vietnam, Philippines, and Malaysia that would be their right under international law. The map which is otherwise cartographically accurate is provided to show the overall picture in which subsequent geographic delineations will be made. Once we have reviewed the issues specific to oil and gas exploration, we will go back to the political implications of the map in order to put the energy discussion in the relevant context of inter-state relations and war and peace. The metrics used in this article are technical in nature, although limited scientific data on energy resources and variable investment and procurement rates make any forecast of future energy production a tenuous guess. 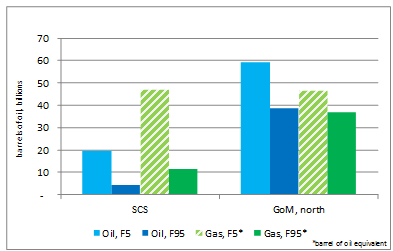 Oil and gas basin potential, efforts toward field exploration and development, and current energy consumption rates by countries in the South China Sea are used to measure the sea’s importance and to shed light on the current and future chances of military conflict among those states party to the sea’s disputed sovereignty. This research primarily relies on US Geologic Service (USGS) data for oil and gas reserves and BP for national production and consumption data. As opposed to International Energy Agency (IEA) data which relies on statistical reporting from national governments, USGS data is derived from the best geologic survey mapping currently available for each region covered. These data are limited and based on extrapolated modeling rather than extensive field testing, but the USGS remains the best, if not the only, source of data available anywhere for the South China Sea in its entirety. Data from other nations, such as China or Vietnam, are deemed less reliable given their governments’ lesser sophistication in data gathering and analysis as well as the role politics plays in all these countries’ statistics in general. Certain private companies, among them the world’s leading international oil companies, also possess energy resource data. Their data, however, are both proprietary and specific to the fields in the sea they are working rather than reflective of the sea in general. Using USGS data also assists us to ascertain the sea’s relative value by allowing us to make comparisons with other globally relevant energy reserves. Mean estimates of reserves are avoided in this article except in cases where that number has taken on significance through common usage in well cited reports as single-number averages may lead to a false sense of certainty regarding the data’s veracity. There is too much guesswork and too little hard data about the sea’s energy resources because of the lack of actual exploration. Also, the better explored areas, such as the Gulf of Thailand, lie in the non-disputed portions of the sea. To avoid the potential pitfall of enshrining an estimated average as the number quantifying the sea’s resources, this research uses USGS data at both F95 and F5 levels of confidence to show the best-guess range of the energy that may be present. The marker F95 represents a 95% chance of at least the amount tabulated actually existing. F5 is similarly defined as a 5% chance of the energy actually existing as forecast. Both numbers are built on models based on currently best-available information and are therefore subject to revision as better data becomes available through exploration. USGS “F” levels are roughly equivalent to standard industry reserve definitions of P1 (90 percent probability) and P3 (at least 10 percent probability). Some may rightly criticize the use of F5 levels and insist on assessing reserves based only on what has been proven to exist. While a proven reserve approach may statistically be correct and the metric required for Securities and Exchange Commission (SEC) filings, it would be a technically correct but practically inappropriate answer to what is, and will remain for some time, an unknowable problem that demands a real solution today. First, it would be a mistake to pin our assessment to such incomplete energy reserve data as currently exists. Second, we would overly discount the perspective of many of the participants in the conflict in the South China Sea who bank on the Sea’s potential or rely on their own, usually much higher, estimates. Even when they look at USGS data, many interested actors are likely to read into them what they want to see. And what they want is for there to be a lot of oil and gas very close to their respective shores. Even if the Energy Information Agency (EIA) is technically correct when it says that the contested areas of the sea “likely have few conventional oil and gas resources,” as long as there is a reasonable chance that greater reserves exist, the states involved may act like the glass is at least half full. The South China Sea likely represents 0.3-1.3% of the world’s oil reserves and 0.9-3.7% of its natural gas reserves. For oil, this figure places it in the category of an Oman or a Kazakhstan and for natural gas a Qatar, or even the northern and richest parts of the Gulf of Mexico. (Conclusion based on BP Statistical Review of World Energy 2012 and U.S. Geological Survey Assessment of Undiscovered Oil & Gas Resources of Southeast Asia 2010 and author’s analysis). These figures cover only those portions of the Sea in dispute or likely to be at risk in case of a military conflict between disputing countries. Globally, the broader sea contains an additional 0.3% of the world’s oil and 0.5% of its natural gas. Based on current development successes and reserve estimates, the South China Sea possesses more potential for natural gas than for oil. However, even for its more limited oil resources global energy markets set prices in large part by the cost of the last barrel extracted. Nonetheless, the South China Sea’s gas and to a lesser degree oil resources are more than enough to confer a price advantage on any state that can dominate its exploitation. Likewise, from a surety of supply perspective, the state that can secure access to these resources would benefit from the sea’s close proximity to its homeland’s entry points for energy imports. Despite the slowing caused by the global financial crisis in 2008-2010, the world economy is growing and the vast majority of people are consuming goods and services in every increasing quantities. No region of the world is seeing its consumption of energy-intensive materials increase faster than those of East and Southeast Asia where all countries, not just China, are prominent in global figures of incremental demand and consumption. Since 1990, world gross product has shown a compounded growth rate of 5.5% with the volume of merchandise trade in that time increasing more than fourfold. Burgeoning economic activity over the past two decades contributed to the rise of 600 million people out of abject poverty. Of these 600 million, almost all were from emerging markets and the majority of them were Chinese. During the same period, the number of oil fueled vehicles on the planet surpassed one billion and is growing at an average rate of 3% per year. Energy’s place in the strategic planning of state leaders is growing commensurately. On a compounded annual rate, global primary energy demand (excluding wood) has grown 1.9% per year since 1990 and by 4.7% since 2003. Even in the face of a 1.9% decline in demand from the developed economies of the OECD due to the financial crisis, energy demand is still up 1.5% per annum for the past three years due exclusively to emerging market growth. 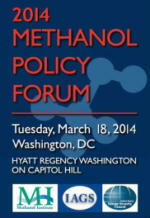 To be clear, when one speaks of global primary energy, with rare exception one is talking of fossil fuels. All other fuel types like nuclear, hydro, and renewables, while not irrelevant to marginal energy demand, are truly marginal for powering the world’s economies. Fossil fuels comprise about 87% of global primary fuel demand, with oil and gas accounting for 57% and coal the remaining 30%. In contrast, the total of all other fuel types mentioned above has benn stuck at around 13% for the past several years. Likewise, in the face of significant growth in consumption, the global economy’s 27% increase in energy efficiency has been too small to stem the tide of increased absolute energy demand. Efficiency is an important component of a national energy strategy because it has an effect on the marginal cost of all energy but, at least at this point of our technological development, it functions only to limit the growth of our use of fossil fuels and not supplant it. Energy and primarily fossil fuels remain central to states’ concerns, both in real terms as an input to production and as an emotional issue that touches on a state’s sense of overall national security – or insecurity. Energy’s increasing importance to states’ real and perceived national security profiles inevitably engenders a military dimension to their competition over access to energy sources. The South China Sea is a significant repository of oil and natural gas. Reserve data for the sea is quite poor, thus estimates of how much energy lies beneath the sea are only a somewhat educated guess. The figure often cited in Western publications of 21.6 billion barrels of oil and 299 trillion cubic feet of natural gas is a mean estimate derived from 1997 U.S. Geological Survey (USGS) data and statistically revised earlier this decade. These large figures are for the entire Southeast Asian archipelago, which includes areas outside the main body of the South China Sea and stretches to the southern seas of the island of Borneo. In terms of understanding the real resource in relation to a potential military conflict in the South China Sea, it is important to isolate those portions of the USGS data that are the subject of increasingly acrimonious inter-state dispute. Secondly, while in many circumstances, relying on a USGS mean estimate of energy resources is appropriate, in such data-poor environments as the South China Sea, it is important not to look too closely at the mean lest it lead to a false sense of confidence that we really know how much energy is actually present and economically recoverable. At most, one-third of the South China Sea has undergone proper exploration and an even smaller fraction has been developed. We do not know and will not know with any degree of reliability the energy resources of the sea until it has been more fully explored. First, we look at the map for some clarity on the locus of dispute. Map 2 (following) shows the portion of the total South China Sea region of concern to this analysis, with color highlights differentiating the disputed from the undisputed areas. The areas of our concern are those in yellow. The light blue areas of the sea are either not in dispute or are technically irrelevant due to depth. At more than 2,700 meters in depth, the large area in light blue at the center of the sea (the South China Sea Basin) is beyond technical limits of deep sea drilling (projected out to the end of this decade) and is excluded from this discussion. Second, using USGS data, the mean estimates for oil and natural gas in our area of concern are 11.3 billion barrels and 149.2 trillion cubic feet, respectively. These misleadingly precise numbers hide that they are derived from a 5 percent to 95 percent confidence range (F5, F95). This shows that the USGS’ best guess measures the South China Sea’s undiscovered reserves at between 4.8 and 21.0 billion barrels of oil and 66.6 and 270.1 trillion cubic feet of natural gas (figures derived from those USGS energy basins considered to lie within the South China Sea’s zone of contention. See Chart 3 for the list). This does not include the sea’s relatively small but disproportionately valuable natural gas liquids (NGL), which increase oil equivalent reserves by 28% (on a barrel of oil equivalent basis of a total of 85.3 billion barrels). 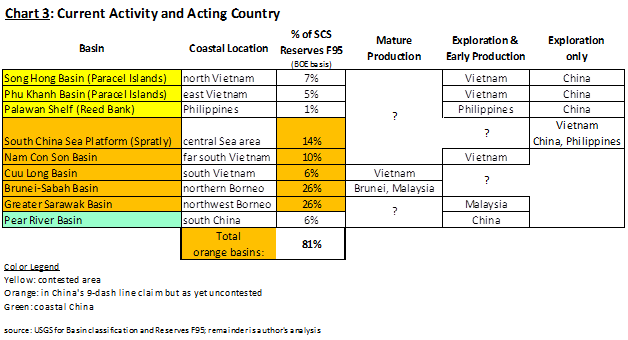 Chart 1 lists the USGS oil and natural gas reserve data for the South China Sea broken out by confidence interval. To help the reader put in perspective the sea’s resources, similar data is listed for the U.S. portion of the Gulf of Mexico (GoM, north). The blocks highlighted in yellow show the conservative estimates (F95 confidence). Those in red show the low end of the confidence range but also how much greater the sea’s total volume of oil and gas could be. The blue highlighted blocks are a comparison of the two regions based on their total estimated energy content. A disinterested observer might say that the F95 or, at most, the mean numbers are the reliable ones upon which to base commercial and diplomatic decisions. However, keeping in mind the poor quality of available data, an interested party scouring the region (e.g. Vietnam and Philippines) or the entire planet (e.g. China) for energy may be inclined to look at the F5 numbers and believe that something like 4 percent of the world’s natural gas reserves lie only a few hundred miles off its coast. Interpretive models based on the degree of “skin in the game” are likely to influence state perceptions of resources and benefit. 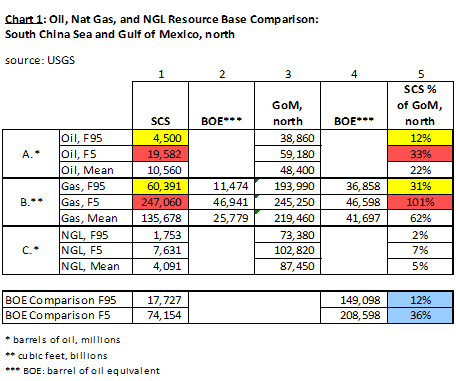 To underline how much of even the best South China Sea data is guesswork, the difference between F95 and F5 for a relatively well explored region like the Gulf of Mexico is a ratio of 1:5 for oil and 1:3 for natural gas. In contrast, the same factor differences for the South China Sea are 4:3 and 4:1, respectively. The range in the estimate of the store of South China Sea potential energy highlights how much the numbers are based on extrapolated modeling versus hard data procured from thorough exploration. The higher numbers for the South China Sea are cited by Chinese research groups, in particular, which are quoted as estimating orders of magnitude larger quantities of both oil and natural gas in the sea than USGS (see the next section for details). In gross terms the South China Sea has 12 to 36 percent of the total barrel of oil equivalent resources of the Gulf of Mexico. As noted earlier, the sea is likely not to prove hugely exciting as an oil play, but the chances seem quite strong that it is a globally significant source of natural gas. The sea has between 33% to as much as 101% of the natural gas reserves of Gulf of Mexico. Whichever number, 31% or 101%, the reader chooses to emphasize, the South China Sea contains a true wealth of natural gas. It should not be surprising that countries party to the sea’s disputed sovereignty choose to see the sea’s potential as truly rich in promise. Graph 1 shows the same data as Chart 1 in a format that allows an easier visual comparison. The northern half of the Gulf of Mexico was chosen for comparative purposes because it likely contains the lion’s share of the Gulf’s fossil fuels. A second reason psychological reason to use the Gulf of Mexico in this comparison is to highlight how geographical proximity has a subjective component connoting ownership, or at least overseer-ship, when resources fall within a state’s perceived “zone of control” or “near-abroad.” Though the Gulf of Mexico carries the name of one of its littoral country, there are no sovereignty disputes in the Gulf. If there were, the U.S. would likely support its claims with urgency because the gulf is of great importance to U.S. energy markets and the U.S. government. 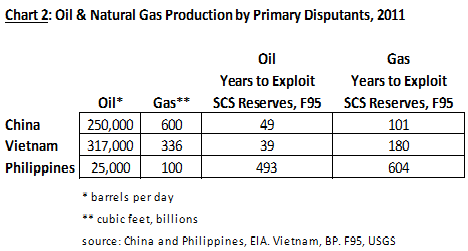 As mentioned previously, it is important to note that the Chinese themselves generally quote estimates of oil and natural gas reserves of the South China Sea that are orders of magnitude larger than the USGS data used in this analysis. Different Chinese sources are quoted by the EIA as assessing the South China Sea to contain 105-213 billion barrels and 900 trillion to 2 quadrillion cubic feet of oil and gas, respectively. The exact methodology and territorial coverage of these Chinese estimates is unknown. While they are likely to be wildly beyond what is actually present beneath the sea, they inform the portion of our analysis that deals with the perceived value of the sea’s energy. If the Chinese actually believe that the South China Sea has almost as much hydrocarbons as Saudi Arabia, they are likely to act more aggressively than if they accepted the much lower USGS estimates. Regardless of whether one uses the Chinese quotes or the more conservative USGS numbers, the South China Sea represents much more than a marginal amount of fossil fuel. Yet, from a practical perspective, is the energy potential realizable and within what time frame? When analysts say that tensions in the South China Sea are driven by competition over oil and natural gas, they really mean that tensions are driven by prospecting for the sea’s fossil fuels. Exploration is a necessary step before more significant realization of the sea’s energy potential is possible. It is a process that requires many years and massive expenditure of skilled human resources and financial capital. The general sequence of subsurface oil and gas exploitation is seismic surveying and geology modeling, drilling test wells and field development, and finally drilling for commercial production. Geologic modeling is educated guessing, and most test wells are unsuccessful yet necessary for ultimate success. Going through this sequence takes several years and hundreds of millions of dollars, and results vary based on the exact geology under scrutiny as well as the exploration company’s technological skill. As a general guide, it takes at least three to four years of seismic discovery in a prospective oil or gas field followed by another two to three years of drilling test wells for development. Another one to three years passes before commercial-scale production can begin. This sequence translates into at least five years of preparation before a field’s potential is commercially realized. In order to cover capital costs, commercial oil production usually starts at 100,000-200,000 barrels per day and can be expected to expand in yearly increments of a few hundred thousand barrels per day oil equivalents depending on the productivity of the particular field (Estimated from interviews with industry experts and analysts with experience in the region). Wide variation is possible within this schema due to geological challenges and the exploiting organization’s limitations of both equipment and skilled personal. Adding up the timeline from initial prospecting to delivery of a 200,000-plus barrel-per-day field is a six- to seven-year process to which are added delays caused by technical, weather, and political concerns that impact security of capital and product pricing. An additional challenge facing the realization of energy extraction in the South China Sea is that many of the shallow water areas (<200m of water depth) are under mature development (“deep water” off-shore drilling is variably defined as wells at depths greater than 200-300m). Perforce, exploration in the South China Sea is moving into deep-water drilling. With a single exception, countries engaged in the South China Sea dispute do not themselves possess the technical capabilities required for deep-water drilling. They therefore rely on foreign, mostly Western, oil firms to assist in this increasingly important share of the sea’s potential. The one exception is this domestic technical capacity limit is China’s growing inventory of indigenously developed equipment. The China National Offshore Oil Corporation (CNOOC), which has the largest presence in the sea among China’s national oil companies, launched its “981” deep-water drilling rig in May 2012, giving it the fledgling capacity to drill to depths of 1,500-2,000 meters. Whatever teething problems CNOOC may have with its new rig and the soft technologies required to make it productive, there is little doubt that after a few years’ experience the Chinese will become competent on their own to perform a range of deep-water drilling procedures. Though likely to be measured over several years, growing domestic technical capacity among the disputant countries is another factor that contributes to the forecast of the conflict for oil and gas in the Sea likely increasing significantly in towards the close of the current decade. By that time, the Chinese are likely to have significant energy exploitation and development capabilities and not just the desire to assert their sovereignty claims farther from their own shores. Parallel improvements in China’s “green water” or near-sea naval power projection capabilities as well as that country’s shore-based anti-access/area-denial military capabilities make for a clearly gathering storm. From Chart 2, we see that actual production in the portion of the South China Sea pertinent to this research is tiny. At 317,000 barrels a day in 2011, Vietnam’s oil production is equivalent to Syria’s while China’s numbers (250,000b/d) are equivalent to Gabon’s. While not irrelevant, neither Syria nor Gabon is a country that significantly influences global oil markets. Currently, only a minority of the South China Sea has been explored and actual production of both oil and natural gas is insignificant. Five countries produce oil & gas within or bordering the disputed portions of the South China Sea and collectively produce approximately 886 thousand barrels of oil per day and 1.1 billion cubic feet of natural gas. The five countries are in order of production magnitude: Vietnam, China, Brunei, Malaysia, and Philippines. From a synthesis of company reports, research organization reports, and industry interviews, the author estimates that 20 to 30% of the dispute-affected areas of the sea have been explored. The vast majority of the explored area lies in the undisputed regions, leaving the energy content of the disputed areas largely unknown. The explored and undisputed sections are: the Natuna Sea east of Malaysia, the joint development zone of the Gulf of Thailand, China’s Pearl River Basin (between Hong Kong and Hainan island), and Vietnam’s and Indonesia’s near-coastal waters. Referring back to Map 2, most of what is known of the sea’s energy resources is derived from data accrued in the basins with red or black dots that represent oil and gas wells. Estimates of the total yellow area resources that lie off the mostly coastal proximate areas are largely inferred by geologic modeling based on global averages and conditioned by known factors taken from the more fully explored areas of the sea. 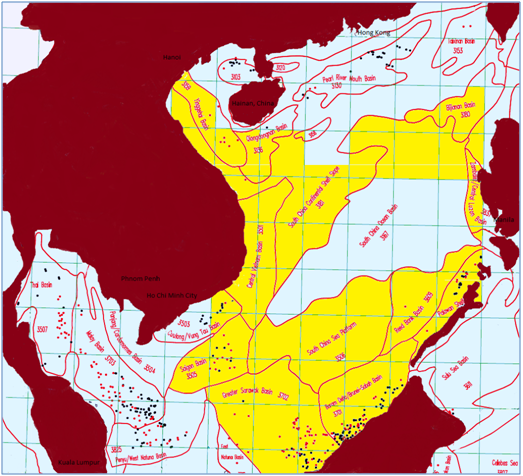 Chart 3 shows that the currently contested areas (yellow shading) are among the least explored and where little commercial production is originating, even though they may account for about 13 percent of the sea’s total energy resources. The Pearl River Basin (green shading) is just off China’s south coast and therefore no other party is likely to contest China for dominion. The orange shaded basins all lie within China’s 9-Dashed Line and are therefore subject to dispute. Most of the orange basins have been peacefully developed for oil and gas by the littoral nation (e.g., Brunei-Sabah basin by Brunei and Malaysia). The exception is the South China Sea Platform basin, which includes the Spratly Islands, where only initial oil and gas exploration is taking place. While the conflict over the unknown resources of the yellow shaded basins is growing, it is a conflict based on a bundle of issues like sovereign rights, fishing rights, and environmental protection, among which fossil fuel extraction remains a potential point of conflict but not a reality. The significance of Chart 3 lies in the orange shaded basins which could constitute 81% of the sea’s total energy resources. Though all of these areas lie within China’s 9-Dashed Line, they have been for years peacefully and at least partially exploited. This situation is changing as China becomes more aggressive in asserting its claims. The yellow shaded basins have witnessed the greatest number of direct clashes involving oil and gas activity, while those orange shaded have either been peaceful to date or have seen civil maritime clashes, usually regarding fishing rights. The question to ask is this: How much more acrimonious will the conflict become when formerly peaceful basins become contested through China’s exercise of its unilateral sovereignty claims or, more importantly, when oil and gas activity in the enormous area of the South China Sea Platform (Spratly) has moved beyond early exploration and into commercial production? *Note: this is end of Part I of Zandoli's South China Sea report. Part II will appear in the next quarterly issue of the Journal. Contributor Blaise Zandoli is a principal of Long Bridge Capital, an investment manager for Chinese investment in the US. This article is written in his Army Reserve capacity with the US Foreign Military Studies Office, Ft. Leavenworth, Kansas, USA.